Reports of strange sightings that hint at the possibility that life is already present on Mars and that NASA and US government is hiding something from us are not uncommon and the latest to make such a claim again comes from an alien hunter named André R. Gignac who says that he has spotted a massive panoramic window that signals at the presence of a huge underground bunker. Gignac is making his claims based on analysis of a photo of the Endeavour crater rim from ‘Murray Ridge’ on Mars in false color released by NASA. 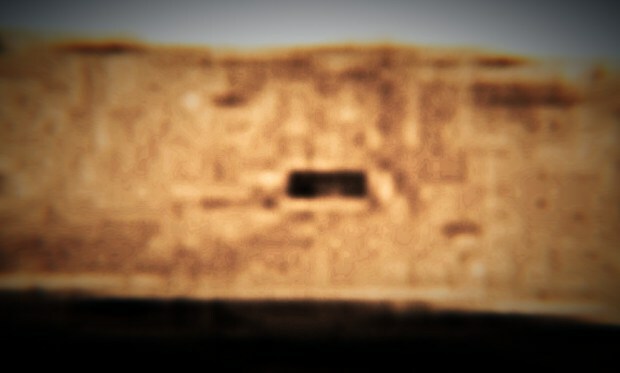 A UFO enthusiast since 1970 and one who has been keenly analysing Mars photos for more than 11 months now, claims that it is not unreasonable to assume that behind this massive window, one would find a vast underground bunker. “At first, the image showed a small, dark spot, far away in the distance. But it rapidly became clear that something extraordinary was taking place: the discovery of a bunker built in solid rock in one of Mars’ craters!” writes Gignac in a post on his website. The claims do not end there as Gignac says that the same image provide proof of what appears to be a missile. He said that there are a series of missiles, rockets and structures (like housing) arranged in a circular fashion. “It seems that “someone”, or some “government”, is deploying missiles on the Red Planet”, Gignac claims.